December 1st! Woohoo! You know what that means, right? It's the last month of this YEAR! 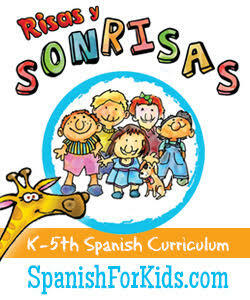 And only 15 days left before Las Posadas begin. 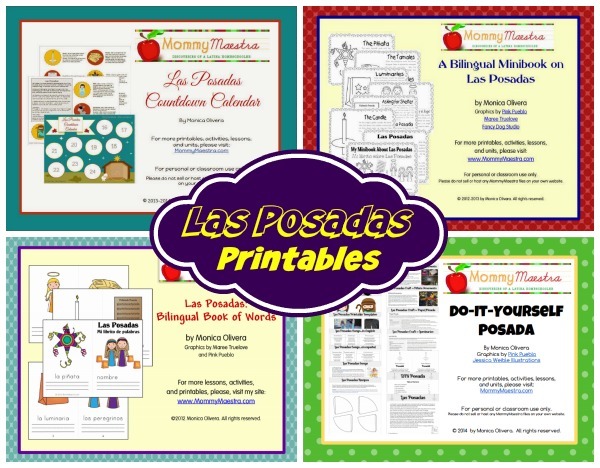 I'm kicking off this month by reminding you of all the printables on Las Posadas that I have available in my TpT store, AND share with you my newest download: The Do-It-Yourself Posada Kit. 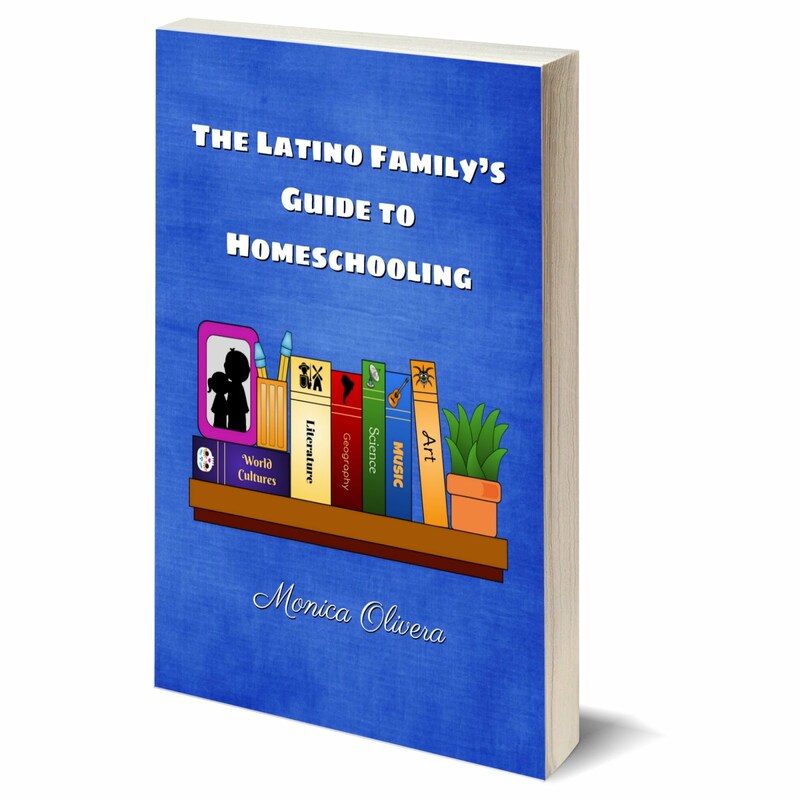 In my store you'll find the following printables that you can immediately download upon purchasing. 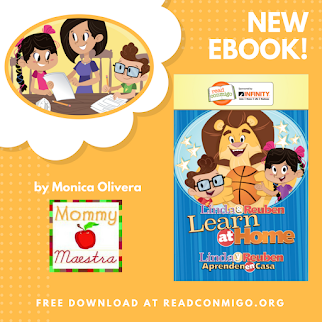 While my Minibook on Las Posadas remains my bestselling printable, I honestly think the best way to teach children about Las Posadas is by having them participate in one. 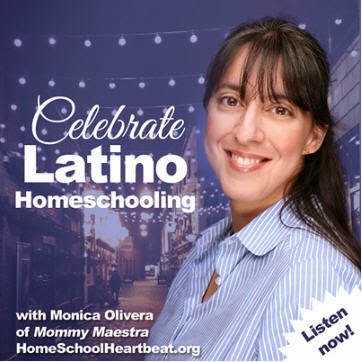 That is a treasured memory from my own childhood and I started thinking about how awesome it would be if parents and teachers could host their own posada at home or at school. 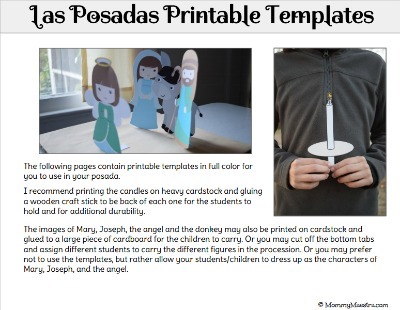 • Printable templates of the candle and Mary, Joseph, the angel and donkey. 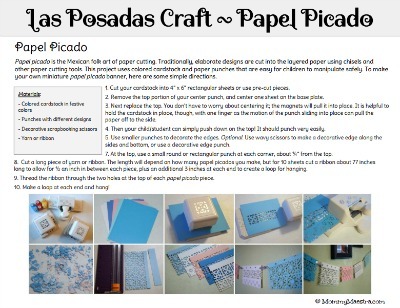 If you have the time to wait, you can enter to win a copy of my DIY Posada below! 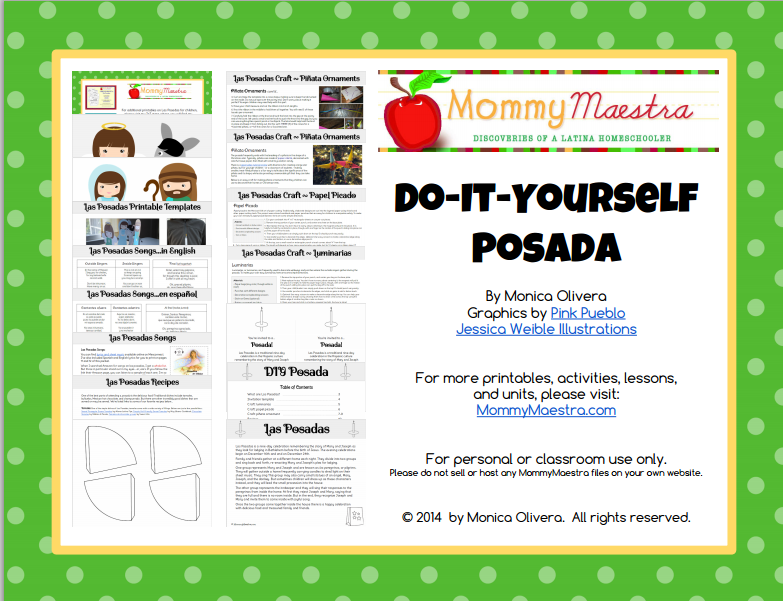 One MommyMaestra winner will receive a copy of my DIY Posada download. 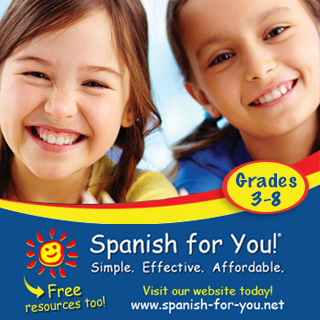 To enter, simply use the Rafflecopter below.